These days, any information you could possibly need is right at your fingertips– google any information and chances are you’ll find video tutorials and step by step articles on just about any subject. With such quick access to important information, it’s easy to say you can do just about anything on your own. However, if you’re planning on either buying or selling your home, does the same approach apply or would getting yourself a real estate agent be the better option? The answer is yes, you could do it on your own as there are plenty of home listings online, complete with detailed information and pictures. However, there is always a learning curve and the road to buying or selling can be bumpy, time consuming, and expensive if you’re not experienced. If you have a full time job, the opportunity cost is quite steep. Real estate agents are licensed and trained to help you not only find the home you want, but to handle paperwork, legalities, and transactions. Before you decide to buy or sell a home on your own, you may want to consider the endless slew of benefits that come along with hiring a real estate agent. Real estate agents save you time. Buying or selling a home can be a stressful and exhausting process; it can take days to contact potential buyers or sellers, arrange appointments to see homes, and go over contracts. Real estate agents can take the time that you may not have to gather information, find potential homes, and make the necessary contacts– saving you time and maybe some headaches. Real estate agents are in the know. Agents can be invaluable resources for first time homebuyers; helping them understand the ins and outs of the market and the many costs associated with owning a home. While search engines and online resources can be helpful to an extent, an agent will be able to provide you with the most current market values and up to the minute property statuses. An agent has access to home searching tools, like the MLS (Multiple Listing Service) database, keeping you informed of all the homes in your desired area that fit your criteria. For sellers, real estate agents can offer assistance with market analysis; giving you an accurate estimate of a home’s value compared to sales in that area, the condition of the property, and the current state of the market. They can provide valuable exposure to gain potential buyers, by adding your home to the MLS. Without a real estate agent, the entire selling process can become extremely complex; buyers will need to be pre-screened, pre-qualified and complete a good amount of paperwork. An agent will walk you through the selling process, negotiate the final price, and any adjustments that the buyer may have. Any conditions that you have set will also be handled and confirmed by the agent, as well as any transactions and preparation of documents (i.e. closing contracts). Real estate agents act as the middle man. As a buyer, you may have worries about a house and not know how to communicate them effectively to a seller before putting in your offer. A good agent will become a neutral middle man between you and the seller and will express your concerns and help you negotiate on the price of the house. If you’re selling your home, an agent’s objective advice can benefit you– helping you to see your home’s strengths in the buyers’ eyes and negotiate through the different steps of the selling process without being emotionally involved. Although it’s tempting to try to sell your home on your own because you think you’ll avoid paying a real estate agent’s commission, you couldn’t be more wrong (read this article about the common myths of real estate), an agent provides you with an ample amount of protection, making sure you aren’t taken advantage of. They negotiate and handle contracts. You can easily get overwhelmed with hidden costs and legal jargon when doing it on your own. Whether you’re looking for a home to buy or putting up your home for sale, having a real estate agent working for you will provide transparency between you and the party of interest. Agents are obligated to have their clients’ best interests in mind through all transactions. An experienced real estate agent can handle sticky situations to prevent bad blood between the buyer and the seller that can potentially kill a deal. A good real estate agent knows how to smooth things over and keep things from getting too personal. Once you receive or put down an offer on a home, there’s an extremely lengthy paper-work process that needs to be completed before the closing. 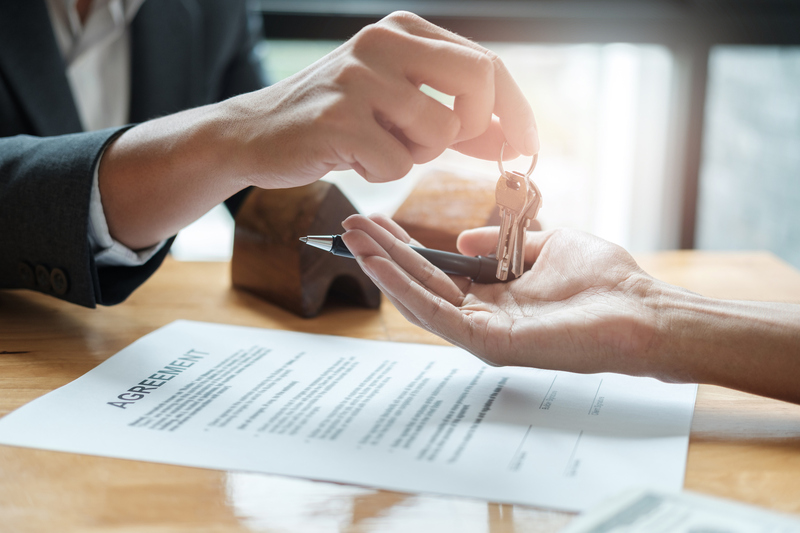 Real estate agents work with contracts and conditions on a regular basis– they will be able to provide you with information about the various contracts used and how they can protect you no matter if you are buying or selling a home. If you don’t know what you’re signing, you could be paying for the misfortune in the future. It’s always a safe bet to have a professional agent look over the process and make sure you know exactly what you’re getting yourself into. Would you ever consider buying or selling a home without a real estate agent? Let us know in the comments below, and don’t forget to press the like button.